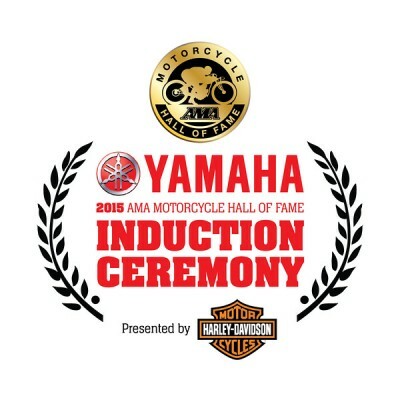 PICKERINGTON, Ohio — On Saturday, Oct. 17, the American Motorcyclist Association Hall of Fame welcomed the members of the Class of 2015 at the 2015 Yamaha AMA Motorcycle Hall of Fame Induction Ceremony, presented by Harley-Davidson. The ceremony, hosted by actor, motorcyclist and AMA board member Perry King, inducted dirt tracker Alex Jorgensen, road racing champion John Kocinski, longtime Yamaha Motor Corp. U.S.A. race team manager Keith McCarty, entrepreneur and industry patron John Parham, off-road racing champion Rodney Smith and former Harley-Davidson CEO Richard Teerlink. 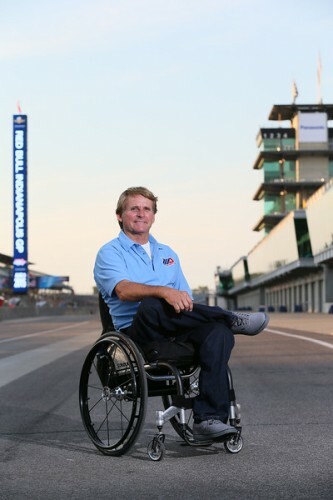 Also honored was 1999 Hall of Fame inductee and three-time world road racing champion Wayne Rainey as the 2015 AMA Motorcycle Hall of Fame Legend, presented by MAG. AMA Motorcycle Hall of Fame Legends are existing Hall of Famers who are being recognized for their ongoing contributions to motorcycling. Following the Hall of Fame VIP Reception, presented by Suzuki, attendees were treated to a video chronicling each inductee’s motorcycling accomplishments. 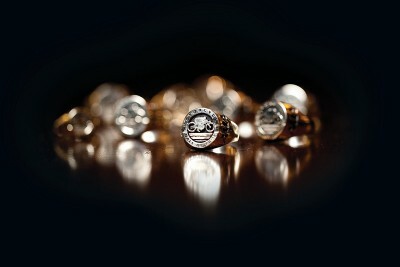 Then each new Hall of Fame member was presented with a Hall of Fame ring, sponsored by Zero Motorcycles. The evening concluded with a roll call for all attending Hall of Fame members to join the class of 2015 on the stage. The tribute drew a standing ovation from the room. 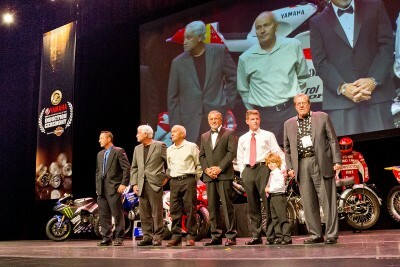 The 2015 Yamaha AMA Motorcycle Hall of Fame Induction Ceremony, presented by Harley-Davidson, was held in conjunction with AIMExpo. The AIMExpo is a diverse powersports event that welcomes members of the industry, motorcycle media and consumers. Sponsors of the event included title sponsor Yamaha, presenting sponsor Harley-Davidson, reception sponsor Suzuki Motor of America, ring sponsor Zero Motorcycles, and Hall of Fame Legend sponsor Motorsport Aftermarket Group. Platinum level sponsors included American Honda, BMW of North America, GE Capital and Kawasaki Motors Corp. U.S.A. Manufacturer Elite sponsors were GEICO Motorcycle, Husqvarna Motorcycles and KTM North America. Motion Pro was an Aftermarket Gold sponsor, and Motul and Rea & Associates were Aftermarket Silver sponsors. Service sponsors included AVIS/Budget, Chet Burks Productions and Federal Motorcycle Transport. 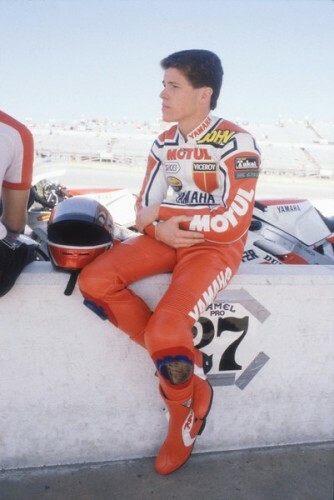 John Kocinski, who began racing as a teenager, won the AMA 250 Grand Prix Championship in 1987, 1988 and 1989 and took the 1989 600 Supersport win at Daytona International Speedway. In 1990, in his first full season with Team Roberts, he won the 250cc World Championship in Europe, claiming eight pole positions and notching seven wins on tracks he had never seen before. In 1997, he won the World Superbike championship, scoring 10 wins on a Honda RC45, the bike’s crowning world title. Kocinski went on to record 18 AMA 250 GP wins. During his career, he raced on teams that included AMA Motorcycle Hall of Fame members David Aldana, Erv Kanemoto, Eddie Lawson and Wayne Rainey, including Team Roberts assembled by Kenny Roberts. He officially retired from racing in 2002. 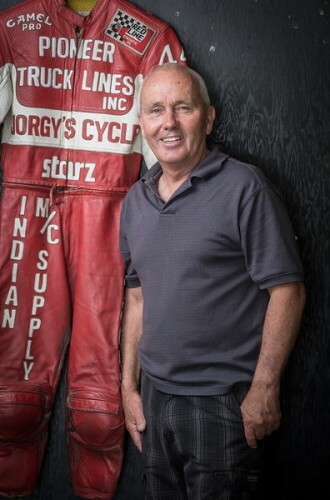 Kocinski was inducted into the Hall of Fame in the Road Racing category. In his induction speech, Kocinski talked about his long career and how it all began with a spark of inspiration, witnessing legendary tuner Bud Aksland work on a Yamaha TZ250 at Daytona in 1982. 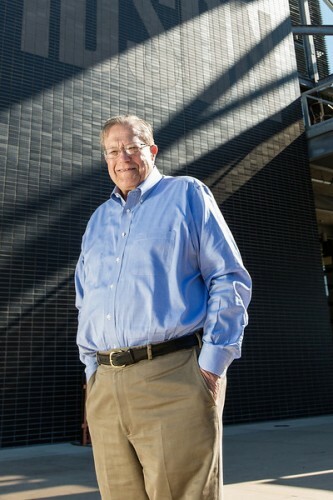 Richard Teerlink was part of the executive team responsible for Harley-Davidson’s financial turnaround in the late 1980s. As president and CEO, Teerlink helped establish the company’s new mission, values, objectives and strategies. His approach included working closely with employees at all levels of the organization, as well as with union leaders. In addition, he believed a participative approach with dealers, suppliers and riders would lead to the development of mutually beneficial relationships. 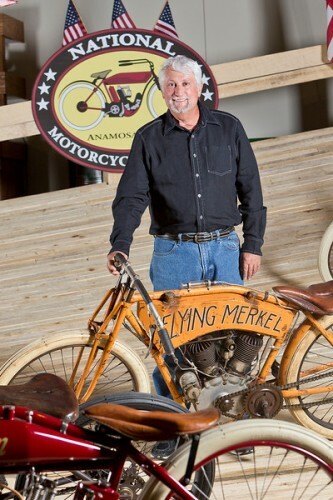 Teerlink joined Harley-Davidson in 1981 as chief financial officer. That year, the company posted an operating loss of $15.5 million on revenue of $210 million. When Teerlink retired as chairman and CEO in 1999, Harley posted operating profits of $416 million on revenue of $2.45 billion and held nearly 50 percent of the U.S. market for 650cc and larger motorcycles. Rodney Smith started riding motorcycles in the hills of Northern California with his family in the ’70s. From there, he blossomed into a local motocross standout and then an international contender. Smith accepted an offer to race in Brazil in 1985 and won five Brazilian national championships. He then moved to the world level and finished third in the 1988 Fédération Internationale de Motocyclisme 250cc World Motocross Championships before returning to America in 1990. 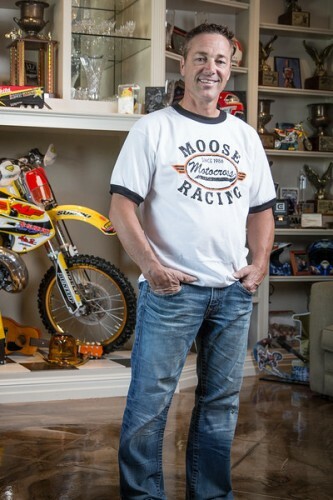 Back in the United States, Smith turned his focus to off-road racing, where he became one of the most dominant riders of the late 1990s and early 2000s. Smith won 13 AMA-sanctioned national championship series, including five Grand National Cross Country titles, three AMA National Hare Scrambles titles and five AMA National Reliability Enduro Championships. He also excelled in the International Six Days Enduro, winning multiple gold medals, competing on the premier U.S. Trophy Team and twice earning top-American honors. Keith McCarty’s first job as a motorcycle mechanic was for U.S. Suzuki in 1973 for rider Mike Runyard. In 1975-76, he wrenched for AMA Motorcycle Hall of Famer Tony DiStefano, winning two 250cc AMA National Motocross Championships. When the motocross schedule didn’t conflict, he worked with the Hall of Fame duo of Erv Kanemoto and Gary Nixon in road racing. In January 1977, McCarty began his long career with Yamaha as the mechanic for AMA Motorcycle Hall of Fame Legend Bob “Hurricane” Hannah. 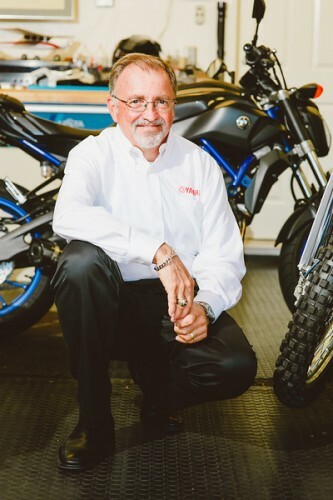 McCarty has remained in Yamaha’s racing division ever since, working as mechanic, supervisor, department manager and, most recently, division manager for all of Yamaha’s U.S. racing activities. McCarty, who lives in Orange, Calif., is known not only for his technical knowledge, but also for inspirational prowess and organizational acumen that transcends racing disciplines, making him not only an asset for Yamaha but also a valued member of the motorcycling community. Alex “Jorgy” Jorgensen exemplifies the talent, skill and diverse abilities that are trademarks of the greatest AMA Grand National competitors in history. Of the handful of riders who have wins in all four dirt-track disciplines — short track, TT, half mile and mile — Jorgensen is the only rider who achieved the feat in his first four Grand National wins, while competing on four different motorcycles — Can-Am, BSA, Norton and Harley-Davidson. Jorgensen’s career boasts a number of special wins. He is the last rider to win an AMA Grand National on a Norton or BSA, both wins coming at Ascot. He earned Can-Am its first AMA Grand National win. He also logged the first AMA Grand National victory on Rotax’s four-stroke single at the Ascot TT. From 1982 to 2004, the Rotax engine would dominate the highest levels of short-track and TT competition. Along with Gary Scott, Jorgensen holds the record of most AMA Grand National wins at Ascot with six. Wayne Rainey was the top World Championship 500cc Grand Prix rider of the early 1990s, winning three consecutive World Championships riding for Yamaha in 1990, 1991 and 1992. In addition to his accomplishments on the world level, Rainey was also a star of AMA Superbike racing during the 1980s, winning that title in 1983 with Kawasaki and again for Honda in 1987. Following a career-ending injury while leading the Italian Grand Prix in September 1993, Rainey, who also was in the points lead for a fourth straight title at the time, returned to the sport the next year as a team owner and manager. Rainey retired from that role following the 1998 season. Today, Rainey is the president of MotoAmerica, the AMA and FIM North America championship road racing series. Rainey was the motive force behind the creation of the new series, serving as both its inspiration and most prominent advocate, insisting the series was necessary to prepare today’s American road racers for success on the world stage. Rainey treated the attendees on a heartfelt ride through his life, recounting his career from the time he started racing to his U.S. championships to his world championships, his injury, his return as a team owner, and finally his commitment to MotoAmerica. 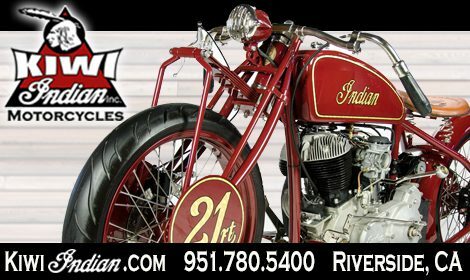 This entry was posted in Industry News and tagged AIMExpo, AIMExpo 2015, Alex Jorgensen, AMA, American Motorcycle Association, Harley-Davidson, John Kocinski, John Parham, Keith McCarty, Motorcycle Hall of fame, Motorcycle Hall Of Fame Legend, Richard Teerlink, Rodney Smith, Wayne Rainey, Yamaha. Bookmark the permalink.